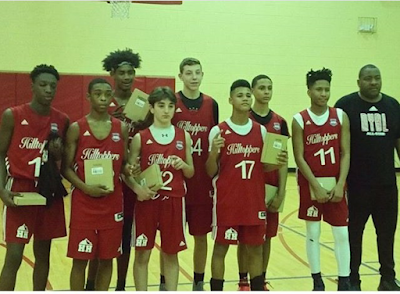 In this epic rematch battle, Hilltoppers Heat prevail in overtime over Milbank to win the Teach Me Classic 14U Championship. Hillttoppers gained an early 1st half 16 point lead before Milbank stormed back behind the hard work of Kaden Norton, who earned Sportsmanship Player of the Game, before losing in overtime 54-52. William Richardson earned the game MVP for H.Heat with 25 points and received help from Mike Williams with 18 points.